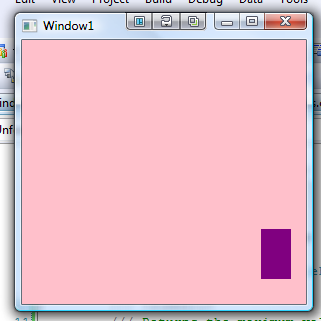 One of the first issues I ran into when I was learning WPF was that the Canvas didn't size to its contents. I was attempting to render a graph and I wanted to stick a Canvas in a ScrollViewer and have the scroll area grow as more content was added outside the current bounds of the Canvas. While searching for a solution I noticed on various forums that several other developers were looking for a solution to this problem. At the time I didn't know enough about writing custom layout containers to write my own Canvas and I soon found myself diverted. Today I work for Microsoft and am partly responsible for Silverlight Charts. Now that I'm rather comfortable writing layout containers I figured I'd spend a few minutes and bang out a Canvas control that provides all the flexibility that I'd always wanted. Ladies and gents I present DynamicCanvas. In addition to restoring the WPF Bottom/Right properties that are missing from Silverlight's Canvas the DynamicCanvas adds CenterLeft, CenterTop, CenterRight, and CenterBottom properties. In WPF these properties are convenient but not strictly necessary as you can use a multi-binding and a converter to center your objects declaratively. However Silverlight 2 does not support multi-bindings which makes it rather more difficult to ensure that objects will remain centered if their dimensions change after they've been positioned. The DynamicCanvas is a good example of a custom layout control if you're trying to learn how to write one. It also takes advantage of one of the most exciting attributes of Siverlight 2: the ability to cross-compile with WPF. Silverlight 2 has now matured to the point where some simple controls can be compiled in Silverlight with little or no modification. It's important to remember that you shouldn't use DynamicCanvas (or Canvas) to do layout. You should only use Canvas for tasks where coordinate-based plotting is appropriate such as writing a custom series for Silverlight Charts (something I'll be blogging about after our next release). This control is not an MS supported control and you should use it at your own risk. That said if I get positive feedback on it I may try and get it into the Silverlight Toolkit. /// A canvas that can size to its contents. /// size its width to its content. /// Identifies the SizeWidthToContent dependency property. /// SizeWidthToContentProperty property changed handler. /// height to its content. /// Identifies the SizeHeightToContent dependency property. /// SizeHeightToContentProperty property changed handler. /// Gets the value of the Bottom attached property for a specified UIElement. /// Sets the value of the Bottom attached property to a specified UIElement. /// Identifies the Bottom dependency property. /// BottomProperty property changed handler. /// Gets the value of the Left attached property for a specified UIElement. /// Sets the value of the Left attached property to a specified UIElement. /// Identifies the Left dependency property. /// LeftProperty property changed handler. /// Gets the value of the Right attached property for a specified UIElement. /// Sets the value of the Right attached property to a specified UIElement. /// Identifies the Right dependency property. /// RightProperty property changed handler. /// Gets the value of the Top attached property for a specified UIElement. /// Sets the value of the Top attached property to a specified UIElement. /// Identifies the Top dependency property. /// TopProperty property changed handler. /// Gets the value of the CenterBottom attached property for a specified UIElement. /// Sets the value of the CenterBottom attached property to a specified UIElement. /// Identifies the CenterBottom dependency property. /// CenterBottomProperty property changed handler. /// Gets the value of the CenterLeft attached property for a specified UIElement. /// Sets the value of the CenterLeft attached property to a specified UIElement. /// Identifies the CenterLeft dependency property. /// CenterLeftProperty property changed handler. /// Gets the value of the CenterRight attached property for a specified UIElement. /// Sets the value of the CenterRight attached property to a specified UIElement. /// Identifies the CenterRight dependency property. /// CenterRightProperty property changed handler. /// Gets the value of the CenterTop attached property for a specified UIElement. /// Sets the value of the CenterTop attached property to a specified UIElement. /// Identifies the CenterTop dependency property. /// CenterTopProperty property changed handler. /// Invalidates the position of child elements. /// Measures all the children and returns their size. /// Arranges all children in the correct position. /// <param name="arrangeSize">The size to arrange element's within. /// Returns the maximum value or null if sequence is empty. /// <param name="that">The sequence to retrieve the maximum value from. /// Returns the minimum value or null if sequence is empty. /// <param name="that">The sequence to retrieve the minimum value from. It's important to remember that you shouldn't use DynamicCanvas (or Canvas) to do layout. Why not? If you want your design fixed, Canvas is a good choice. It's not as flexible as the other panels, but that doesn't mean it's inferior. The disdain shown for the Canvas is a bit odd to me, but it seems to be common with a lot of MS employees in the US. BTW, why don't you have a solution to download with the sample. Copying code is so 80's. I can't comment for other MS employees but generally I try and avoid GUI's fixed at pixel location. They don't scale to different screen sizes very well. You don't want to tell Silverlight how to position elements by pixel for the same reason you don't want to tell your programming language program exactly how to filter a list with a predicate: it's too specific and therefore inflexible. Obviously if you find yourself in a position where you need to fix your UI...then fix it. Just make sure that you can't reproduce the same result with the layout containers in Silverlight/WPF. As for your constructive criticism about the lack of a solution to download...I have no excuse. I'm in the process of acquiring webspace at which point this will be rectified. In the meantime I hope that those who really need this component wont begrudge me the Ctrl+C-ing. You're forgiven for the lack of a project(lol). Absolute positioning was never a problem in HTML, simply because I could wrap it so that it fit into a container that always adjusted. I haven't seen a way to make a UIElement positioned relative to a containing object in SilverLight(preferably a Grid). That would be nice. Anyway, I still think your concept for this Canvas is BEAUTIFUL. Good work! I have to say I'd love to see this type of auto-sizing canvas make its way into the Silverlight toolkit as you hinted. Great work! I don't get it. Is DynamicCanvas supposed to fit itself to the content drawn inside of it? 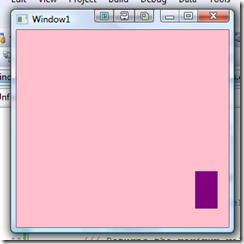 Under WPF, DynamicCanvas seems to behave the SAME as Canvas. Even your example results image isn't sizing the canvas to fit the rectangle (or scaling up the rectangle to fit the canvas). What am I missing? I can't get this to work in WPF. It doesn't seem to resize to the content when the SizeWidthToContent and SizeHeightToContent are set to true. Actually I could also not see any scrolling using you sample under WPF. How can I test it. Burberry polo shirt the steady, solid, so many young girls also love it. Speaking of people of a ralph lauren polo, think it a sign of nobility elegant waving in the horse club.spyder jacket in the cold in your winter activities can be easily.columbia jacket it is expensive, but here you do not need to consider the price of it. the north face jacket one of my favorite money, I do not know how many in this world of its fans. great code. The only thing missing (or which I missed) is the license under which it is released. Or is it public domain ? I'm a software developer who started programming at age 16 and never saw any reason to stop. I'm working on the Presentation Platform Controls team at Microsoft. My primary interests are functional programming, and Rich Internet Applications.